He-Van offer affordable container storage local to Brighton suited for mid to long-term storage if you don’t require access to your belongings. 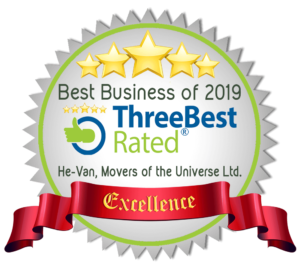 If you are a home owner, a renter or a local Brighton business and require storage facilities and the collection and unloading of your belongings, look no further, He-Van can assist you every step of the way! He-Van also offer container storage for businesses that require a more cost effective alternative to document and archive storage. 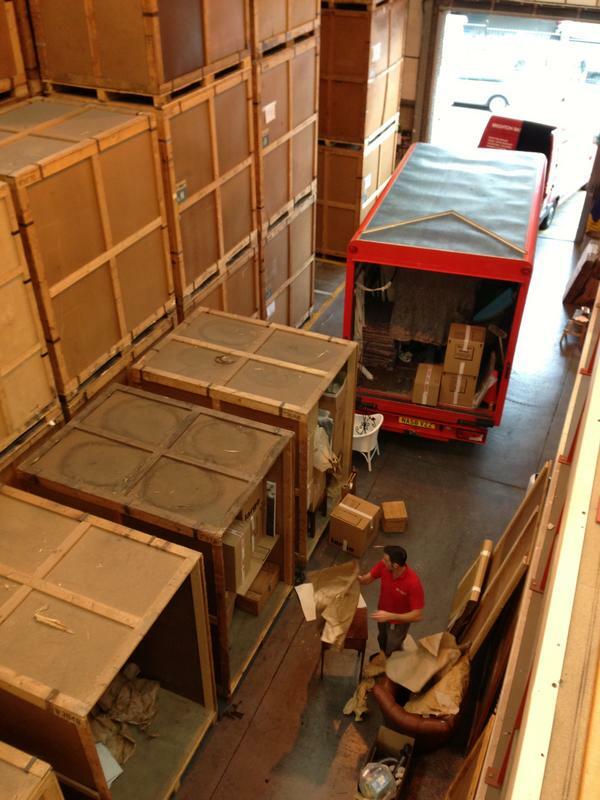 Container storage Brighton is an alternative to the self-storage units that He-Van offers its customers. Customers using our container storage should note that if you require access during your storage period, you will be charged £45 per access inclusive of VAT. However, this charge will not apply at the end of your storage period when your unit/s are emptied. If you require regular access to your items, then our Brighton self storage units may be a better option in terms of cost and accessibility. 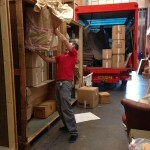 Our container storage is situated in Woodingdean on the outskirts of Brighton, in a brand new purpose built warehouse. Each wooden container is 35 square feet / 250 cubic feet, which is the approximate equivalent of four double beds with divan bases on top of each other. 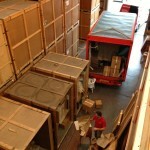 The approximate dimensions of each container are: Height 2.24m (88″), Length 2.1m (83″), Width 1.4m (58″). 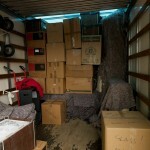 Once unloaded, all items are packed securely into the storage container. 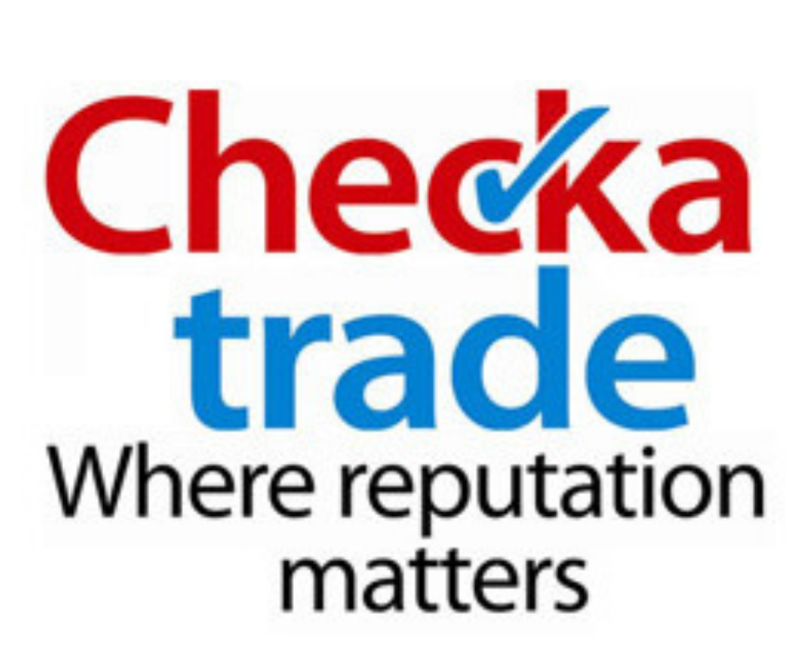 Any items that could potentially get scratched or scuffed are protected with blankets. These units are then sealed shut and forklifted, high up and out of harms way. 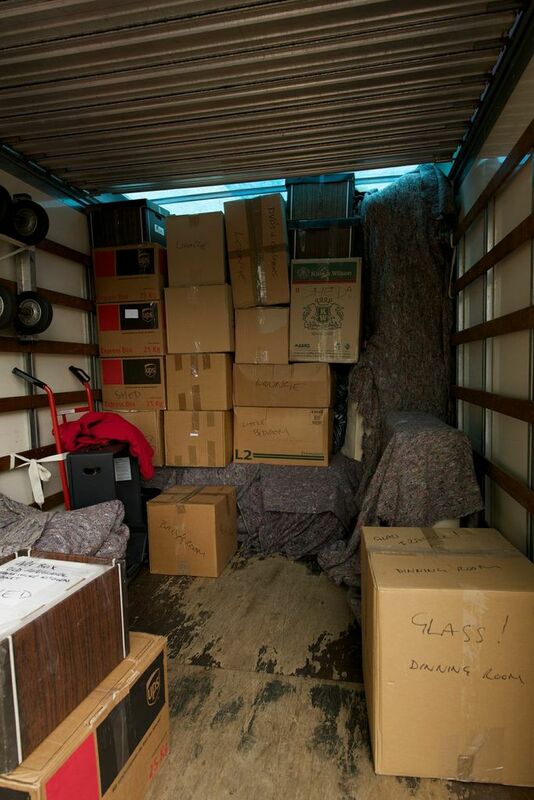 When you are ready to remove your belongings from the container storage, you just need to contact He-Van and give one weeks notice. 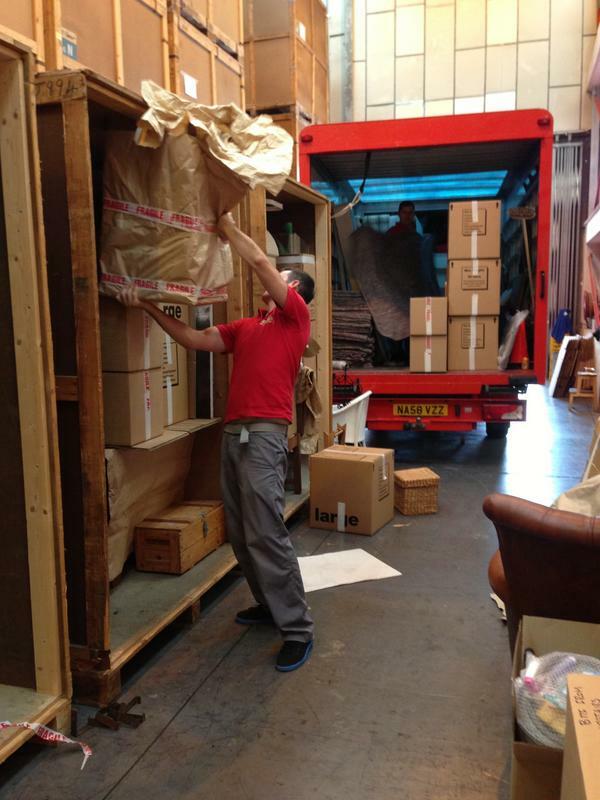 The office can then work with you to find a suitable date and time to remove your items to your new destination. Each container unit costs just £19 per week inclusive of vat. Discounts are available if more than 1 container is required or if you require container storage for more than six months. You will also need to add fire Insurance to protect your consignment. 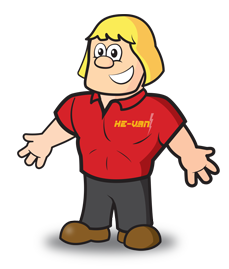 He-Van would need to know an approximate value of your consignment and an inventory will need to be supplied by yourself in advance by email. The cost of fire insurance is £1.29 per £1000 of cover per week. Do not store until you have spoken to He-Van. 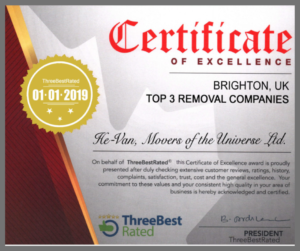 For more information please call 01273 311293 or 07795 678200, email hevan@brighton-removals.co.uk or use our online booking form to detail your requirements.